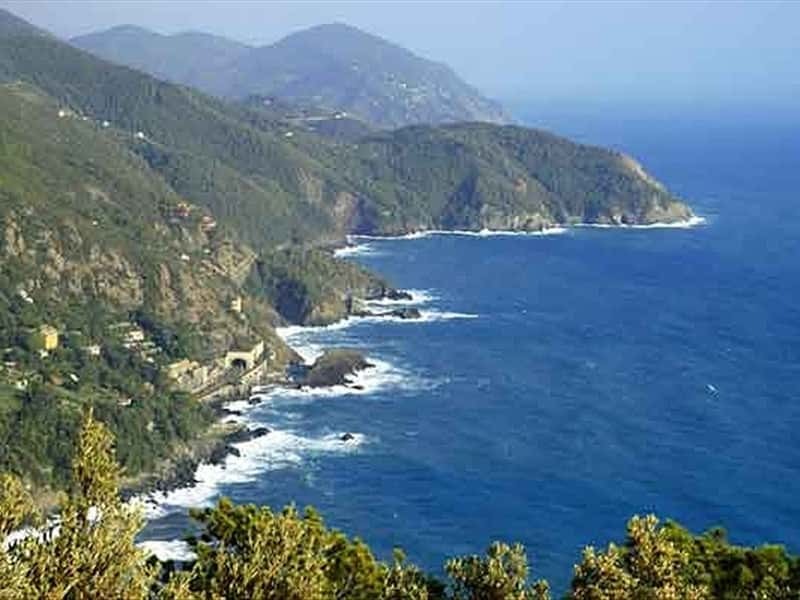 Town in the province of La Spezia on the Ligurian Riviera di Levante, Framura is located in a cove near Mount Serro and is included in the protected area of Cinque Terre. It is distinguished by the originality of the town's structure, as it is composed of five small districts: Anzo, Ravecca, Setta, Costa and Castagnola, that are linked to each other by a steep staircase, rising from the sea to the hinterland between pine forests, vineyards and vertical cliffs fringed from the foam of the sea. The centers are of stunning beauty with their small alleys, the impressive silhouettes of pine trees, the flowers here and there that create great splashes of color and the houses are all different one from each other. The discovery of archaeological finds evidence that the Ligurians populated the area already in ancient times. The area was submitted by various rulers: in the Lombard era the town was under the control of the Abbey of San Colombano; in the Middle Ages by the family Da Passano. In the XII century the Fieschi and the Lavagna took possession of the castle of Frascaro, until it returned to the Republic of Genoa. The historical events also report a further stage with the Malaspina family in the administration and control of the lands. In the XII century Framura was ceded to the Republic of Genoa and followed the same historical fate until the Napoleon conquest, and the consequential annexation into the Kingdom of Sardinia in 1815, after the Congress of Vienna, and in the Kingdom of Italy since 1861. The Parish of San Martino a Costa, built in the X century, the monastery was under the control of the Abbey of San Colombano. The building is extremely simple and leans against an old guard tower of the Carolingian era. It preserves inside a painting by Bernardo Strozzi. The Parish church of San Lorenzo in Castagnola which features a painting of the Deposition by Luca Cambiaso. The Genoese watchtower of the XV a Setta, a district within the Municipality of Framura. The Genoese watch tower of the XV century and the Chapel of Our Lady of the Snows in Anzo. The Watchtower dating from the IX century in the village Costa. The Botanical Garden of Apicchi. This town web page has been visited 11,612 times.